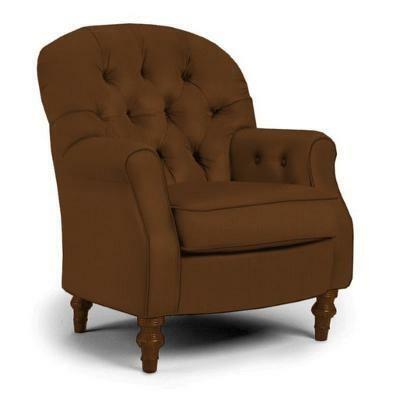 The Truscott Club Chair will invite you to sit down with a good book or cozy up by a nice fire. 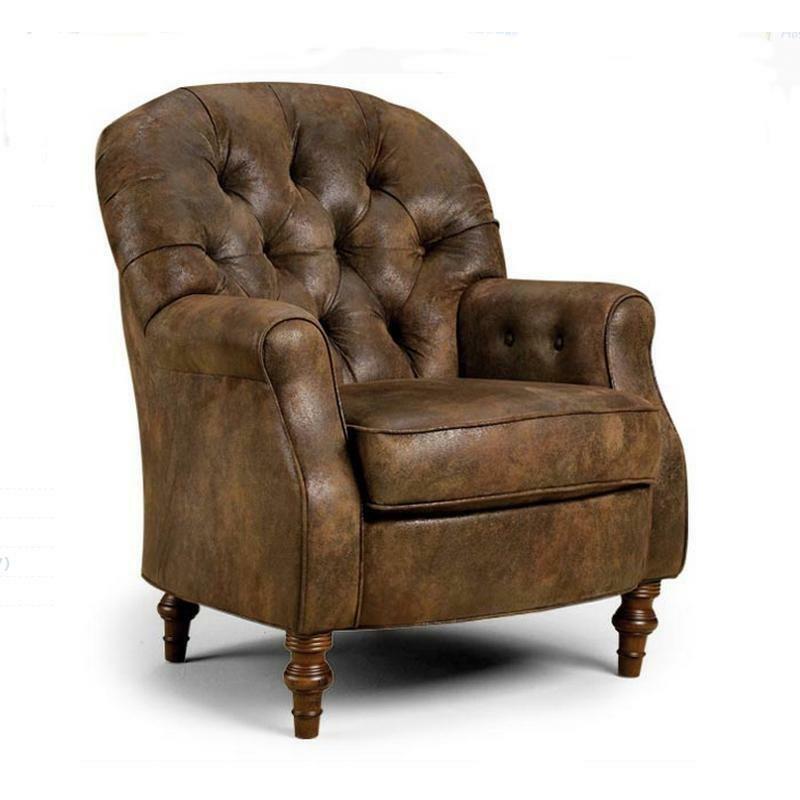 Its traditional style charm can be found in its heavily button tufted back and arms, and its beautiful turned wooden legs. Manufacturer Color Body: Walnut; Legs: Distressed Pecan. Manufacturer Material Chenille Body cloth. Seat Depth: 55.88cm; Width: 52.07cm.